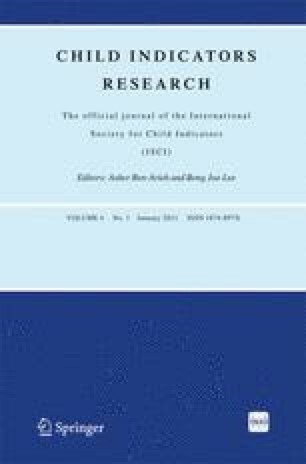 This article reports on childhood studies in Germany including two empirical research projects. It concentrates on children living in poverty and on findings regarding how children conceive justice and the “good life.” Starting with an overview of the state of the art in German childhood studies, it reports the methods and major findings of the World Vision Survey. Although this representative study of 1,600 children clearly confirms the growth of child poverty in Germany, it was unable to show how the children themselves experience their situation. This leads to the second study of 200 really poor children from Hamburg and Berlin. Focusing on how these children define justice and the good life along with what they understand by these terms, it examined how Martha Nussbaum’s Capability Approach can contribute to progress in childhood studies. Deutscher Paritätischer Wohlfahrtsverband (DPWV) (2008). Expertise. Was Kinder brauchen. Für eine offene Diskussion über das Existenzminimum für Kinder nach dem Statistikmodell gemäß § 28 SGB XII (Sozialhilfe). Berlin. www.forschung.paritaet.org/fileadmin/SUBDOMAINS/forschung/Expertise_Kinderregelsatz_web.pdf. Accessed 02 February 2010. Deutsches Jugendinstitut (DJI) (2009). Kinderarmut in Deutschland. Empirische Befunde, kinderpolitische Akteure und gesellschaftspolitische Handlungsstrategien. Expertise im Auftrag des Deutschen Jugendinstituts von Maksim Hübenthal. http://www.dji.de/bibs/21_expertise_huebenthal_kinderarmut_2009.pdf. Accessed 12 February 2010. LBS-Kinderbarometer Deutschland (2009). Stimmungen, Trends und Meinungen von Kindern aus Deutschland. http://www.lbs.de/bw/die-lbs/initiative-jungefamilie/veroeffentlichungen/veroeffentlichungen?re=36&uv=1263812090805&roid=3 Accessed 03 January 2010. Merten, R. (2007). Kinderarmut in Deutschland—mehr als nur ein Randphänomen! http://www.uni-koblenz.de/∼gpko/download/allgemein/dozenten/westphal/kinderarmut.pdf. Accessed 14 February 2010. Robeyns, I. (2000). An unworkable idea or a promising alternative? Sen’s capability approach re-examined. Discussion paper 00.30. Center for Economic Studie, Leuven. http://www.econ.kuleuven.ac.be/ces/discussionpapers/Dps00/DPS0030.pdf. Accessed 03 February 2010. Unicef (2007). Innocenti Research Centre: Child poverty in perspective: An overview of child well-being in rich countries, A comprehensive assessment of the lives and well-being of children and adolescents in the economically advanced nations. http://www.unicef.org/irc. Accessed 04 June 2008. Unterhalter, E. (2003). Education, capabilities and social justice. Papecommissioned for the EFA Global Monitoring Report 2003/4. The Leap to Equality. http://unesdoc.unesco.org/images/0014/001469/146971e.pdf. Accessed 03 February 2010.